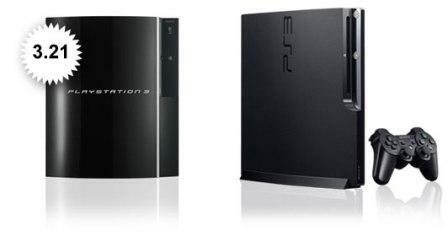 Sony has made available a new system software (firmware) updates for Sony PlayStation 3 (PS3), which has the version of 3.21, on schedule on April 1, 2010. The main talking point about the new firmware 3.21 for PS3 is the axe and disabling of “Install Other OS” feature, which allows another operating system to be installed on PS3. The disabling of “Install Other OS” feature probably won’t bother core gamers, which continue to have access to the broad range of gaming and entertainment content from SCE and its content partners on a more secure system, and now there is hack to access PSN online without updating to latest firmware. But without the “OtherOS”, the exploit found to crack Sony PS3 for pirated and cracked games probably becomes harder if not impossible. For PS3 users who are currently using the “Other OS” feature but choose to install the system software update 3.21, they should backup all data stored within the hard drive partition used by the “Other OS” to avoid data loss, as the data can no longer be accessed after the update. The playback quality of some PlayStation® format software that is downloaded (as a purchase or for free) from PlayStation Store has been improved. A security patch was added to address security vulnerabilities that may occur when playing MP4 format video files. Sony PS3 users can easily upgrade the device via System Update feature in the PS3, or download the software update (PS3UPDAT.PUP) to manually perform the update by following instructions here.